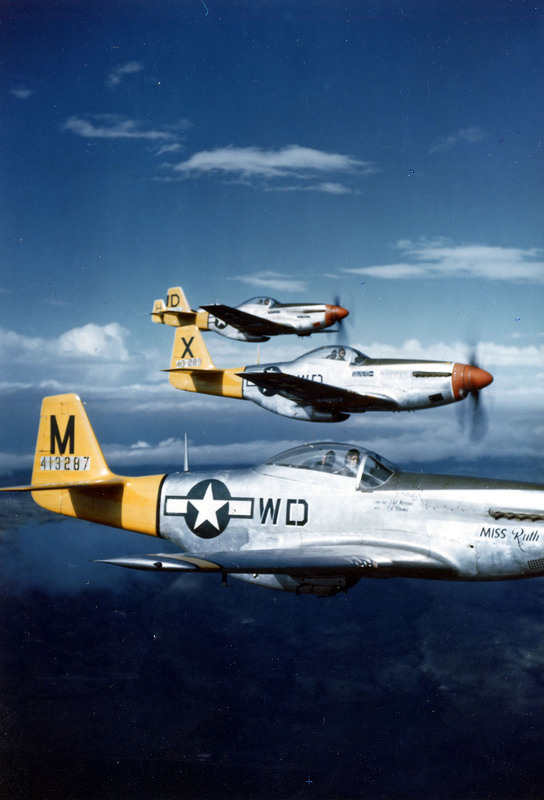 » P-51D Mustangs of the 4th Fighter Squadron in flight, Italy, 1944. This photograph has been scaled down; full resolution photograph is available here (1,225 by 1,800 pixels). my dad was crew chief on miss ruth.can you tell me who took photo,and when.